Like it or not, we live in a globalized world. Every year, technology makes communication cheaper and faster. In a few years, most people will not be working side-by-side with people from their own town, rather, they will work side-by-side with people from all over the world. I have been working from home, with people from around the entire world, since 2000. The idea for this website, along with the original version of the website, originated in San Francisco. The content for the website was produced in fifteen different Spanish speaking countries over a period of nineteen years. Newer versions of the website were created in Nepal because I could no longer afford to pay the high salaries demanded by developers in California. As you can see from the example of just this one website, learning two or more languages is becoming increasingly important in our highly-connected world. Unfortunately, the U.S. is the only industrialized country which allows students to attend high school without studying a foreign language. By the time most students begin to study another language, it is much too late for them to become highly proficient in a second language. In most European countries children begin to study Spanish or another language when they are 6-9 years old, or even as young as 3 years old. The fact is that in the United States only about 9% of the population is multilingual, whereas in Europe, over 50% of the population is multilingual. American schools produce world-class skate-boarders and surfers, but they do NOT produce world-class linguists. It stands to reason that both companies and NPOs are driven to expand their existing networks. Having fluency in Spanish gives an edge on any applicant by showing employers that one has the ability to communicate with an entirely different community of people. If you enjoy traveling at the expense of others, consider that employers are more apt to send a prospective employee abroad if he or she shows proficiency in another language. When I was a young man, I was selected to be sent to Brazil to work because I had taught myself Spanish. It seemed odd to me at the time since Portuguese is spoken in Brazil. The truth is that everyone else in the company was simply too lazy to learn another language. In addition, no one else was willing to live in South America because, at that time, it was extremely difficult to view NBA and NFL games in South America. Traveling to another country for a job not only allows for tremendous opportunities for oneself, but also allows a company to expand its markets. Work experience abroad has the ability to enhance careers, often leading to very lucrative promotions. 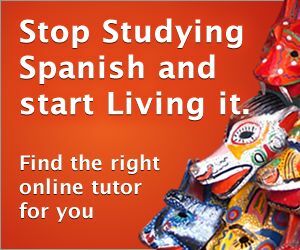 If you are not happy with your career, then stop making excuses, jump into our free Spanish for Beginners - Spanish 101 course today. After living and working in Brazil, I was motivated to start a company which provided services to students around the world. I later sold the company for millions. Quit blaming your boss for your less-than-stellar career. The only one who is going to create lucrative opportunities for you is you! Of course, businesses are not the only types of organizations where learning another language could super-charge your career. Educators often have students from a variety of countries, scientists must converse and collaborate with others in their field from many different countries. Many in the entertainment industry opened up new markets for their talents by learning a second language. It is also well documented that in positions dealing with marketing, sales, and technical support, knowledge of a second language can add between 10% and 15% to your wage.